When we talk about online bookmakers, we can’t just miss the Swedish giant Unibet. This reputable and solid bookie is known through Europe as one of the most complex in the branch. It’s one of the largest online betting providers on the European market with more than 9 million customers from around 100 different countries. Found in 1997, Unibet is under the jurisdiction of Malta with registration number C 39017. The bookmaker also has some prestigious prizes, such as the European Sportsbook of the Year for years 2006 and 2008 by eGaming Review. Unibet is also part of the NASDAQ OMX Nordic Exchange in Stockholm. In recent years the company has put a lot of effort into development of the platform. Different markets and innovative approach have led to UNIBET becoming one of the most recognized bookmakers. To keep their popularity growing UNIBET became sponsors of many sports teams and events. You can recognize the brand while watching a soccer game or just catch a commercial on the TV. As one of the most recognized bookies in the world this one is a must try for everyone looking to experience the thrill of online betting. Dedicated gamblers can enjoy their time on the Unibet’s platform with almost full range of sports betting opportunities, including football (both variation), baseball, basketball, volleyball, boxing, tennis and many others sports events. Do you feel the thrill already? You can easily place your bet online or even by phone. For those who like to play games, there are great possibilities of the poker and casino tables, bingo and other attractive games. As a reliable bookmaker from the gambling industry, Unibet has a well-designed website and platform with the full support of live betting and streaming. Also, their mobile application is fully capable of providing an excellent user experience. There is betting history for every account, so you can easily access it for more details and statistics. The bookie’s policy is strictly European, and USA players are still not accepted. Turkey is restricted as well. Football betting in Unibet has various options and types like a wager on 1X2, halftime, half-time/full-time, team goal, handicap, correct score and 1st goal under/over. When it comes to bet combinations, the standard schemes are presented – Double, Treble, Trixie, Patent, Yankee, Lucky15, Heinz, Super Heinz, and Goliath. It’s surely not a secret that you can find some of the best odds on football betting here, especially for the Nordic leagues. However, talking about overall sports odds, well, we can label them acceptable. In a matter of fact, one of the big surprises was the absence of Asian handicap for some of the football leagues. Instead, European handicaps are used. Unibet has adopted EU and UK odd format with overall betting margin of 4.8%. Minimum bets start from €1 and vary based on the market. The maximum winning and payout is set to €20 000. To keep up with its reputation, the Swedish bookmaker has a strong focus on security for the web-based platform. Unibet is using VeriSign certificate for its SSL encryption to ensure smooth and pleasant gambling experience for its loyal customers. They are also a member of various fair gaming associations and organisation, such as EGBA, Remote Gambling Association in the UK, RGA, European Gaming and Betting Association. On top of this, they are certified and constantly regulated by eCOGRA. Speaking about peace of mind, we should mention the customer care and support. 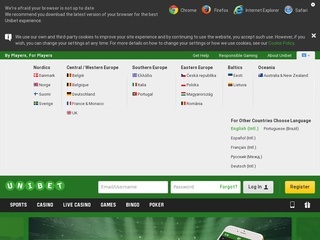 Unibet’s representatives offer an extensive support for most European languages. Clients can easily contact them by phone or online – through their live chat or email ticket system. While online communication may take longer than expected, however, when it comes online information, Unibet has one of the largest online help databases and FAQ. By serving all of Europe it’s natural for Unibet to have lots of currencies covered. They also offer detailed transaction history, so you can keep an eye on your account. 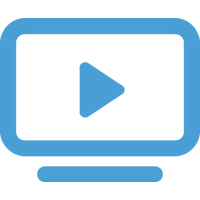 Deposits are made by the most famous payment methods worldwide, including credit and debit cards, e-wallets as well as bank transfer. One of the biggest disadvantages regarding Unibet is the deposit fees on cards, which are as much as 2.5%. The good thing is that withdraws are free of charge and take from 2 to 5 business days. There are certain cases of delay, but it happens only due to security reasons and checks. Clients can withdraw their profit through any of the payment methods stated above. You can easily review the minimum and maximum withdrawal values on your account page. Unibet bookmaker welcomes its new customers with a great bonus of €20, which is cashable. It’s 100% the size of the initial deposit with the minimum of €10. However, it’s not that simple to receive it. You have to wager your bonus value x6 to cash out. Take note that the odds should be no less than 1.4 and the wager should be made in the specific period for the Sign Up promotion. Fortunately, there are no promo codes and other complications; everything is automatically handled. Anyway, the Swedish online bookie is making it up for the slightly complicated sign up an offer by presenting unique opportunities for its loyal players. Anyone has the chance to take part in Superscore and Supertoto, where you can even wager minimum bets on 14 European matches and win up to €50 000 if you guess them right. Unfortunately, apart from the seasonal promotions, Unibet is lacking any referral or VIP programs as well as reload bonuses.